Many people think estate planning isn’t for them, but the reality is that estate planning is for everyone. No matter how young you are or how little you own, everyone can benefit from an estate plan. An estate plan includes documents such as your last will, living trust, and living will. Yes, it is uncomfortable thinking about the future when you won’t be around, but planning for the inevitable is a good way to give yourself peace of mind that your affairs are in order, and your family and friends will be taken care of. Who will handle your financial and healthcare decisions? If you ever become incapacitated, you need someone to handle your financial and healthcare decisions for you. If you have not designated someone in your Durable Power of Attorney to handle your financial and healthcare decisions, your family might have to go through costly and lengthy court proceedings to determine who can make those decisions for you – even if you are married. Who will take care of your children? If you have children, you need someone to be their guardian in the event both parents pass away or become incapacitated. Take care of assets left to children. Assets left to minor children should not be left outright to them. Instead, a person that you designate should take care of it for them while it is held in a trust. A child with special needs may be disqualified from receiving Medicaid or SSI benefits without a Supplemental Needs Trust (allows child to be eligible for government benefits while spending trust assets for non-covered expenses). Who in your family will receive what? Without an estate plan, a judge following strict state law will decide how your assets will be distributed to your family. Your wishes are irrelevant. If you’re going through a divorce, but it hasn’t been finalized yet, it is very possible that your estranged spouse will receive the lion’s share of your assets. With an estate plan, you decide who gets what, when they get it, and how they get it. Avoid probate. Probate is simply the legal process that determines how a deceased person’s assets will be distributed. The court makes an accounting of all the assets, pays creditors, and distributes what is left. 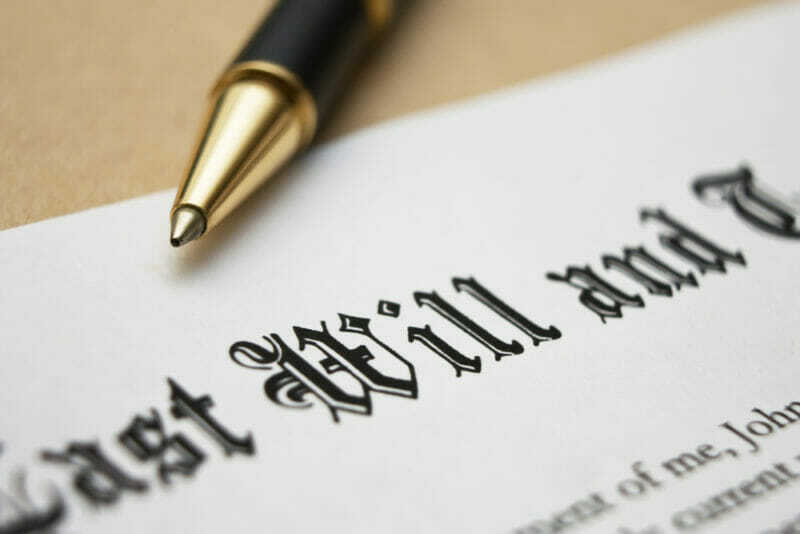 It is a good idea to avoid probate because it is slow (up to three years), it is costly (probate fees can be up to 8% of the entire estate), and it is public (anyone can find out who inherited what). A skilled attorney can help you avoid probate through estate planning. Minimize tax consequences. Life insurance proceeds and retirement benefits should be coordinated with your estate planning documents. Avoid a mess. When money is involved, even the closest of families argue to determine who gets what after a loved one passes way. Many clients look for an estate planning attorney because they have witnessed a happy family fall apart because of a lack of estate planning. Plan personal matters. In your estate plan, you can also designate who will take care of your pets, what type of funeral you will have, and any other last wishes. Who will handle your estate when you pass away? If you don’t designate someone, you might cause a family feud that may result in the court intervening and ultimately appointing someone that you would not choose to administer your estate. Protect your assets from unforeseeable creditors. Through simple estate planning, you can protect your assets from a future lawsuit. Once there is even the possibility of a lawsuit, it may already be too late to protect your assets. Estate planning is flexible. Your estate plan can be reviewed and changed as often as you like. In fact, it is recommended that you review and make changes to it periodically. Estate planning is for everyone. You don’t have to be rich to plan your estate. Estate planning is probably more affordable than you think, especially if your finances, assets, and beneficiaries are straightforward. If you live in California, West Covina estate planning attorney, Lem Garcia, can help you. Give Lem Garcia Law a call today. (626) 337-1111.